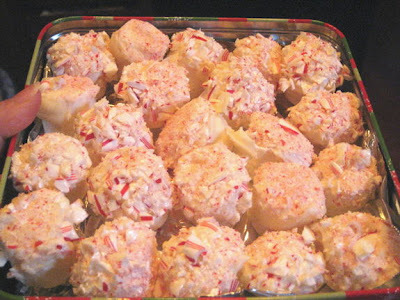 I make these peppermint crusted marshmallows at Christmastime. They look so pretty in a candy tin and make a great gift. Plus they couldnt be easier to make and they are very inexpensive. 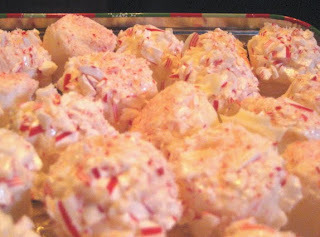 2.Once melted dip marshmellows into candy and then dip into crushed candy cane. 3.Place candy side up on a cookie sheet. Place in the refridgerator for 10 minutes until chocolate sets. 4.Package in a pretty tin. Yummy! Do you cover the entire marshmallow or just dip one side? I think Drew and I need to try these!